Getting students to read should not be a challenge, but it is up to us as teachers to set the expectations from day one. Students need to see why reading is a valuable way to use their time. Two teachers Kristy (a middle school teacher) and Addie (a high school teacher) have gotten together to share how they get their students to read. We read 10 minutes every day in class no exceptions. It does not matter if we have a test that day – these 10 minutes are non-negotiable. 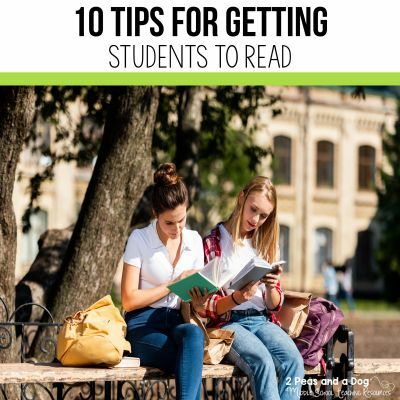 Education writers like Penny Kittle and Kelly Gallagher also give students time in class to read daily. I set a kitchen timer on my whiteboard as soon as all the students are seated, and we read. Students know this is our daily routine and get seated as they enter the classroom. I give my students an opportunity to read every day and I let them pick whatever reading material they want. I have community newspapers, magazines, comics, how-to-manuals, graphic novels, novels (of every level) and picture books available to students in my classroom. I never tell a student that they must read a “novel” for silent reading – I want them to read for the sake of reading. My library is organized by genre in bins. It breaks my heart when I walk into classrooms and the classroom library is an afterthought full of yellowed books. Students don’t want to read broken and yellowed book castoffs, they want to read current engaging material. You don’t need 800 different books – start small with 10-15 really good titles and grow from there. You can find more information about classroom libraries here. I have moved away from doing a whole class novel study and now allow my students to work through novels in small groups. Using Lit Kits, I provide students with a choice of 5-6 titles and students work together to do a book study with the book they chose. Each Lit Kit has a variety of books – different levels with diverse subjects, authors and characters. I work hard to ensure that students work with a book they WANT to read. At the beginning of the year I talk up a lot of books, but as the year progresses I find ways for my students to share what they are currently reading with their peers. 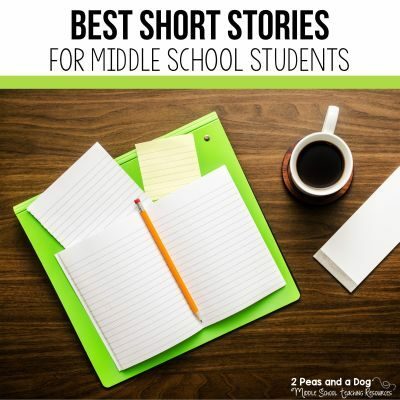 Sometimes it is a simple “turn and talk” to your partner/group about why you selected your novel or it is a formal Sell This Book presentation to the class. The more you talk about books with your students, they will start to see the value of selecting interesting books to read. If you can, take a small group of students to a local bookstore and allow each student to pick a book or two! I have done this with students in my Book Club and they love being part of the process! A few times a year my students grab their reading journals and go on speed dates with books. I call this “Read Dating”. Each table group has a different genre stack of books. I pull the best books from each genre to showcase. Student look at the cover, read the back and read the first page. If they are interested in the book they write down the title, author and genre on their Must Read books list in their reading journal. I set a timer for each “date” and at the bell students rotate to another table group that contains a different genre book stack. Popular genres in my classroom are Realistic Fiction, Science Fiction, Historical Fiction and Graphic Novels. I have a box in my room for students to submit suggestions – I don’t get a lot of suggestions, but if I can I try to get a copy. It lets students know I value their ideas and I have discovered some great books as a result. Almost daily in my class, I am providing students with book suggestions. I only buy books for my classroom library that students would enjoy reading. I make a point of knowing my collection so that I can pull a stack of books that would interest particular students when they ask or I offer because they have been staring at the library for 5 minutes. I also share links to book lists in our Google Classroom so students can also look for books found at the school or public library. Not sure where to start? Check out my premade book lists. I value reading and I value the time it takes to encourage reading. We spend time during every class silent reading and I read with them. I need to model that I value reading and show students that it’s something I enjoy doing. I often give my students a chance to share what they’re reading with a partner for a minute or two so that students can see what their peers are reading. Often kids will want to trade books after sharing! Addie has taught ELA from 5th-12th grade for over 20 years! She loves reading and tries her best to keep up with the latest and greatest YA novels. As well as working as an ELA teacher, she also has experience as a school librarian – a position she adores! Addie values creativity in the classroom and believes that students should have a chance to demonstrate their learning in a variety of ways. 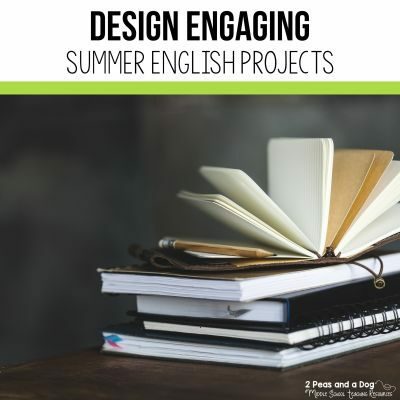 You can find her creative and engaging resources on TpT here. Kristy has taught ELA and almost every other subject to 7th and 8th-grade students for over 11 years. She is guilty of always having a book in her hand – even at the dinner table! She writes the blog 2 Peas and a Dog and shares her education resources for middle school teachers on Teachers Pay Teachers.